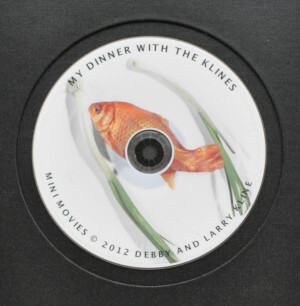 Receive an artists’ signed DVD of the complete set of 13 mini movies filmed in restaurants (while people watched) as we dined and created art. These strange and wonderful dinner sculpture videos feature stop motion animation, wind power, and other creative motion. The videos also feature our original musical scores and soundtracks. Click here for full project description. Price: $60 (plus tax and shipping).